Kalamionas Kassiopi Corfu: Kalamionas is one of the most attractive beaches of Kassiopi located 35 km north eastern of Corfu Town. It is a clean beach with crystalline waters and soft sand, only 300 metres from the centre of Kassiopi. 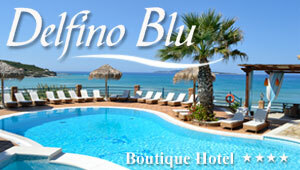 In Kalamionas numerous facilities are available and plenty of accommodation options for all tastes. Kassiopi is considered a cosmopolitan spot where various activities take place during the summer season. Kalamionas is a beautiful spot for diving and swimming. Visitors are guaranteed a relaxing and memorable stay there.